What are the Oldest Ads on the London Underground? What are some of the oldest ads you have seen on the Tube? By this I don't mean advertising that has been uncovered from the 1970's and 1980's (interesting though these old ads at Richmond station are). 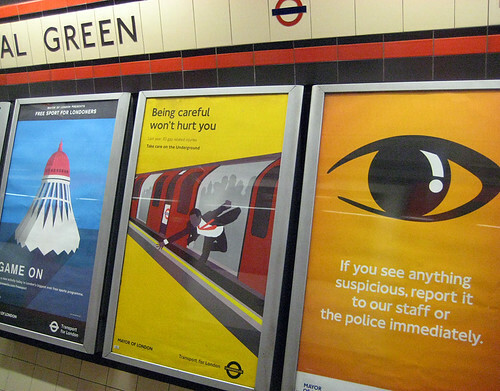 I mean ads that CBS outdoor (the people responsible for ads on the London Underground) appear to have forgotten about. We know that times are tough and that it might be hard to sell all the positions available on the network, but does that mean we have to glance at ads that are well past their sell by date. Luckily Christmas adverts do seem to get taken down fairly quickly after the festive season, but there's a number of ads on the Tube for films, shows and events that took place months - and in some cases - years ago. 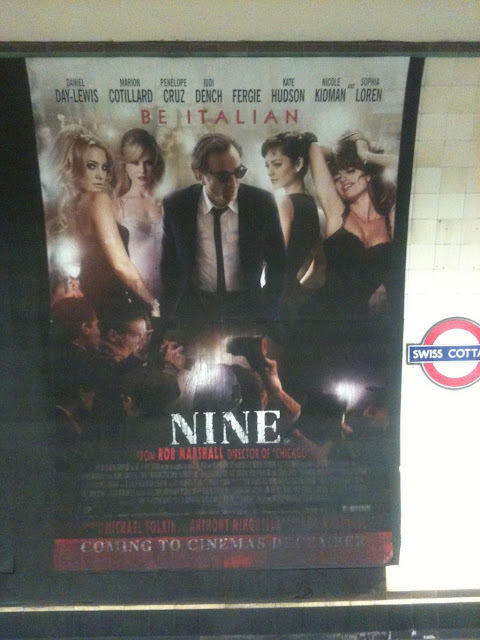 London City Nights spotted this poster for 2009 film Nine only last week at Swiss Cottage! Even without going online to see when the film first came out, there's a huge amount of dust and dirt on this ad that automatically dates it. Take a look around the next time you're on the London Underground, particularly in stations that are outside of zone one and see how many out of date ads you can spot. Hopefully none of them date back as long as this, but you chances are you'll see ones for the Ideal Home Exhibition (from April) still up. I used to see some awful ones around Holborn with some shouting city gent, advertising horse racing, that were also up for months after the event had finished. I wonder just what proportion are expired. 10%? 25%? Maybe even more. And what's the deal here? Even if there's not enough demand to fill all the spaces, why not give the space to charitable campaigns or even to TfL for their own in-house or public service ads? Does anyone check or have a system in place for taking down old ads if there's no new PAID ads to put in their place? Are CBS happy for some advertisers to be given months more free exposure than they've paid for? Perhaps I'm the only person that this bothers. Perhaps it's an experiment by CBS and the powers that be to see if anyone notices or cares. If you see any old ones, tell us where and when. Then we can track to see how long it is before they're taken down. From 6am on Friday 23rd November 2012, Tube engineers are going on a 24 hour strike in a row over pensions. It's going to be carried out by engineers on the Northern, Jubilee and Piccadilly lines. If all the trains are running well, the services won't be affected, but any breakdowns that take place over the strike period will take longer to repair. The RMT union said after months of discussion between management and the union over pensions and benefits a "satisfactory conclusion" had not been reached. Industrial action at the weekend also led to cancellation of major works on the Northern Line which RMT said had "serious and widespread impact across the system." The ongoing pensions dispute concerns hundreds of staff working for Tube Lines. Union bosses say the pension and benefits are not as good as enjoyed by other TfL staff. Jon Lamonte, chief executive of Tube Lines, believes this is incorrect and said: "Further industrial action on the Jubilee, Northern and Piccadilly lines on this issue is completely unnecessary. 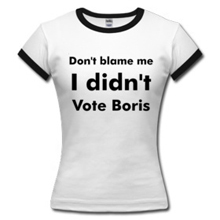 Since becoming part of TfL all Tube Lines employees have kept their existing terms and conditions of employment." 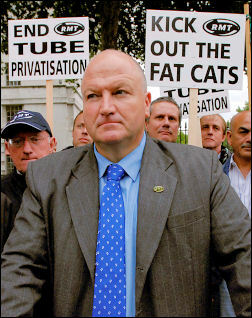 RMT leader Bob Crow, countered this and said: "This dispute is about fairness and equality, nothing else. Tube Lines is now a wholly owned subsidiary of TfL and there is simply no excuse for refusing equal pension and (travel) pass rights." Keep an eye on TfL's website before travelling on Friday morning if you use any of the lines that may be affected. Melbourne Metro are trying the curb the number of train related deaths with a cute / odd video and an annoyingly catchy song. This isn't exactly something I could see TfL or any rail company in the UK doing, but it's a novel approach to advertising ways to stop people getting hit by trains. 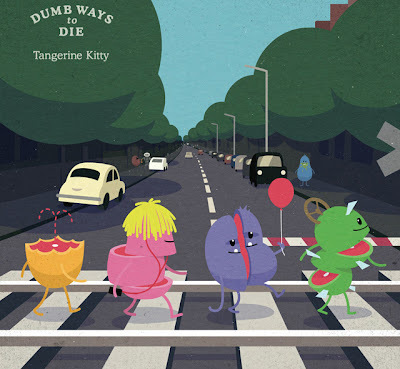 "Dumb Ways to Die" features a number of weird ways to get yourself killed. It ends with a number of train related ones including standing too close to platform edges, forcing open train doors, walking across tracks and skating or roller blading around platforms. “We’ve got people eating superglue, sticking forks in toasters and selling both their kidneys. But truth is indeed stranger than fiction, and we still couldn’t come up with dumber ways to die than driving around boomgates and all the other things people do to put themselves in harm’s way around trains. The aim of this campaign is to engage an audience that really doesn’t want to hear any kind of safety message" said McCann Melbourne, the agency behind the campaign. In additon to the video, the song's also available to download on iTunes and radio ads and posters in Metro stations will also help to drum the message home. Thanks to Jon Justice for sending this my way. Perhaps something lighter is the way to go and Melbourne's approach of humour as an attempt to tackle a deathly subject may have cut through with a lot of teenagers. It's worth saying that the wording of some safety signs may need to be looked at carefully too. Not sure if the above is a warning or an invitation! Did you know that it's Commute Smart Week? Me neither until today. I also didn't know that apparently us women are seeing an increase in commuting times. On average in London men spend 77.2 minutes on a daily commute to and from work, which is a slight reduction from 2006. In the same time frame, women have seen average commuting times rise from 69.8 minutes a day to 72.8 minutes. The TUC who collated the survey put this down to the recession with an increase of men in part time job: "Recent trends suggest there is a link between long commute times and longer hours in the office, with the growing number of men in part-time work having shorter journeys to work. This trend is concerning if it means part-time workers and those needing to balance work with caring responsibilities are being excluded from certain types of jobs." I certainly agree on the points about long commute times and longer hours in the office. 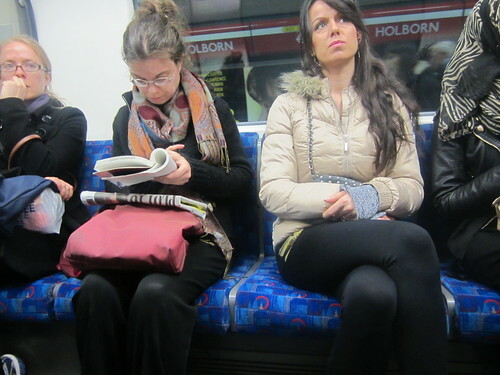 I was in the office until quite late last night and strangely enough on the Tube coming home, there were a whole row of women sitting opposite me, looking like they were also coming back from work and playing out the long commute research to the letter. Even though London commuting times have fallen, we still have the highest commuting times in the country. The national average is 52.8 minutes, whereas the average London commute is 75 minutes. The Welsh have the shortest average commuting time of 41.4 minutes. “The average commuter spends the equivalent of more than five weeks a year just to get to work and back. With rising transport costs far outstripping pay rises, reducing the number of peak-time commutes would save both time and money for hard-pressed workers." said TUC secretary Brendan Barber. I actually thought my commute was particularly long, but it appears that I'm average at 75 minutes. Not that it makes me feel a lot better, but it does explain why so many people do look really knackered on the London Underground and that falling asleep too and from work is a common occurance (if you're lucky enough to get a seat). I certainly think that the daily grind of a long commute means there's a case for employers to be more flexible on where and when people work. Work Wise UK Chief Executive Phil Flaxton said "Commute Smart week provides a real opportunity to revise tired working practises, how and where people work and set about adopting flexible approaches to people management as a key component of effective change." How does your commuting time compare with the averages given above? 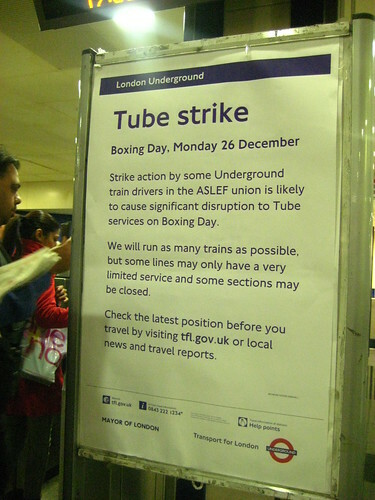 We may face Boxing Day disruption on the London Underground for the third year in a row as Tube drivers union Aslef may be balloting members for strike action again this year. 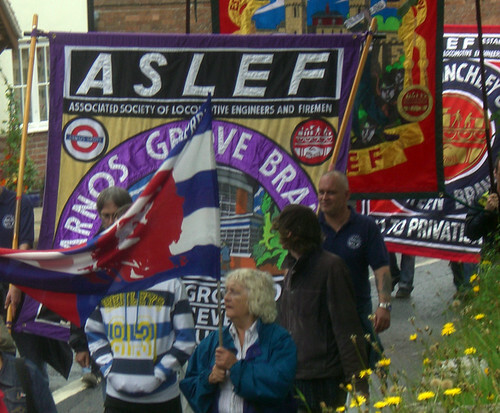 Aslef has been demanding triple pay and a day off in lieu for working on bank holidays however TfL stress that there is already a long-standing agreement for working on bank holidays, including Boxing Day. Apparently talks between TfL and Aslef are already under way, but Mick Whelan, the union's general secretary said: "We have not seen any positive response, but we are hoping it will be resolved. The company has only recently agreed to sit around the table with us." Howard Collins, London Underground's chief operating officer, said: "It would be quite wrong for the Aslef leadership to ballot for industrial action while we remain engaged in discussions to resolve this issue. We have had a series of positive discussions with Aslef representatives and there is a proposal on the table. "LU has a long-standing agreement with all trade unions which cover working arrangements on bank holidays, including Boxing Day. However, we have shown good faith and have further reviewed Boxing Day service arrangements." It's obviously early days and there is opportunity for a positive result. However for the past two years TfL failed in legal challenges to get the strikes called off. Even though the RMT union are not involved in this dispute, they may compound the issue by refusing to cross picket lines should a strike take place. 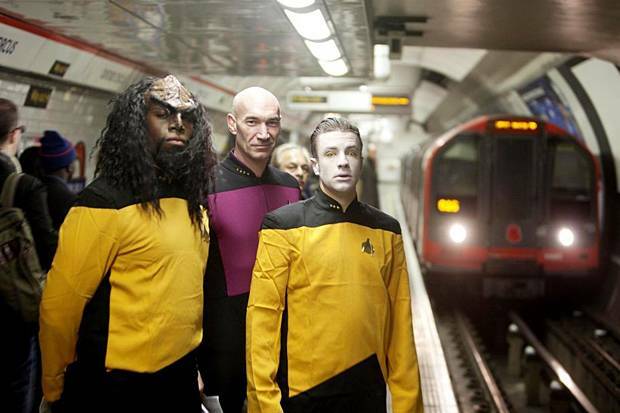 If you were on the Central Line at Oxford Circus today, you may have spotted Picard, Worf & Data on your journey. As you can tell by the creases in the costumes, they're not the actors that played the characters but look-a-likes. Although it appears the budget ran out when they came to Worf & Data, but the Picard look-a-like is pretty good. Why the Tube was chosen for the promotion of launch of Star Trek: The Next Generation in high-definition, is beyond me. As far as I know Picard and crew never travelled on the London Underground, although on the Star Trek Tube Tour (a fun tour of the Tube with tenuous links to Star Trek characters), Oxford Circus is the first stop! Perhaps the time has come for a proper Tube Map mash up linked to Star Trek characters. If it's good enough for Doctor Who, it's certainly good enough for Star Trek.